"The large feed chute is something else that we just can’t resist raving about. " It is one thing to promise high power. 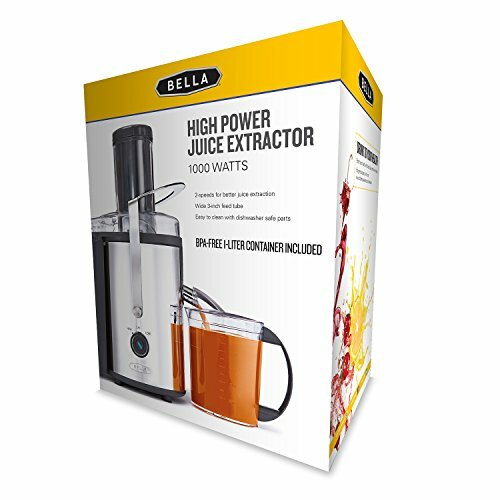 The Bella 13694 High Power Juice Extractor has “high power” built right into the name. That is always a bold statement from a manufacturer, particularly when we’re talking about juicing. It invites extra scrutiny from consumers and experts alike. When it comes to the potential of this stainless steel juice extractor, there are a few things that should be kept in mind. To start with, keep in mind that this juicer is available for 50 bucks, if not a little less. 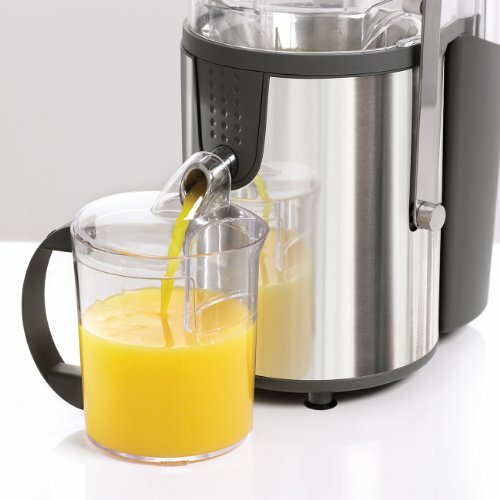 In the second place, note that this high power 1 liter juice extractor promises 1000 watts of juice extraction from its motor. If you know anything about juicers, then you know we are already dealing with a serious contender for a serious juicer. One of the biggest problems with juicers in the fifty dollar price range is the motor itself. Typically, you aren’t going to get a motor with 1000 watts of power behind it. More often than not, you are going to get a much, much weaker motor. This forces the device to work way too hard to give you the results you are looking for. All too often, these juicers wind up breaking well before their warranty expires. This isn’t a rule with juice extractors in this price range, but it happens quite a bit all the same. The Bella 13694 is different. With a motor like this, you can count on a product that will deliver the results you are looking for. 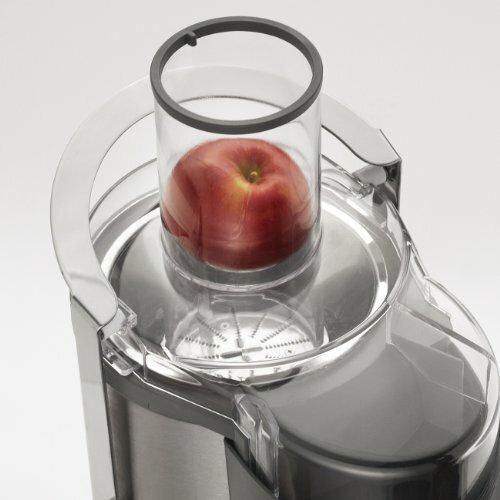 Furthermore, this juicer has a reputation for standing the test of time. Is The Bella 13694 Easy To Use? 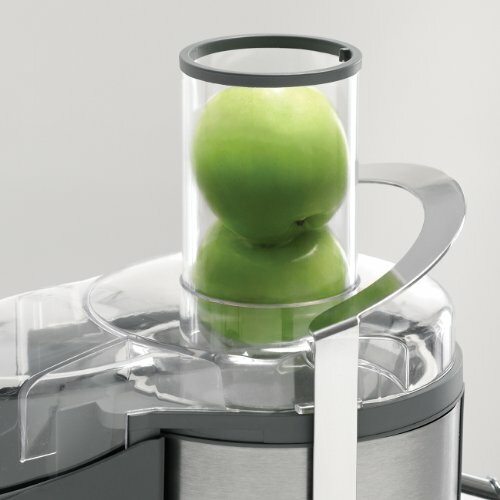 You also have a juicer that is remarkably straightforward in its design. New to the world of juice extractors? Don’t worry. The Bella 13694 features a low speed setting of 12, 000 RPM, with a high speed setting of 14, 000 RPM. 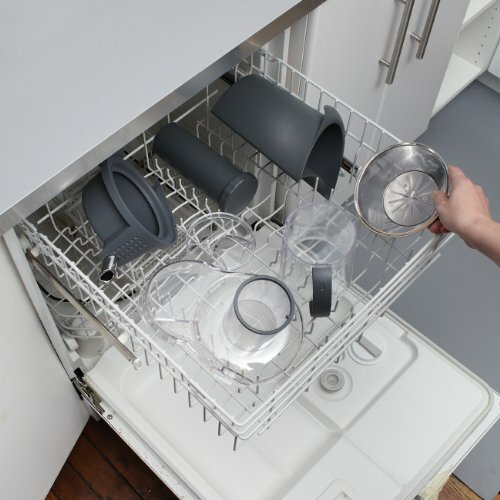 Note the stainless steel cutting disk with strainer, as well as the rubber feet that are designed to keep the product from slipping off the counter. There is also a removable pulp container, and the micro mesh filter comes with the package. dishwasher, as well. As we mentioned before, the container itself creates a liter of whatever juice recipes you are working with. The splash-free lid is nice to have, and the pouring spout makes the Bella 13694 a hassle-free experience whenever you want to use it. The large feed chute is something else that we just can’t resist raving about. Small feed chutes drive us around the bend, since it means more preparation time. If you’re one of those people trying to prepare something while getting ready for work in the morning, you definitely want as minimal a prep time as possible. Obviously, you still want something that is made to your exact specifications. This is where the large feed chute becomes so appealing. This has to be one of the most efficient, speediest juicers currently on the market. The Bella 13694 Stainless Steel High Power Juice Extractor is also BPA-free. 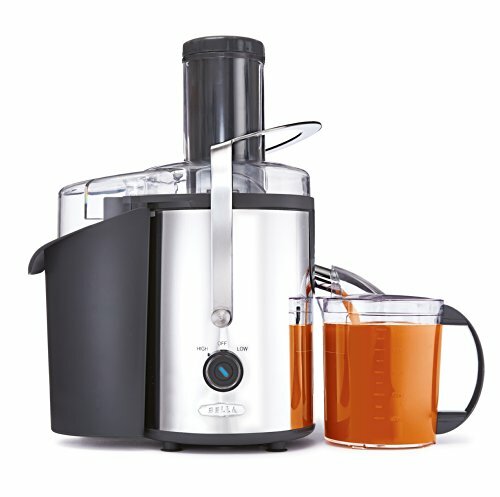 This is one of the most powerful juicers in the 50 dollar price range. Unfortunately, this also translates to the Bella 13694 being one of the nosier juicers on the market. If you already have a lot of experience with juicers, then this one isn’t going to be much of a leap for you. Newcomers are going to be a little taken aback by how intense this product sounds on the high speed setting. You will almost certainly get used to it, but we still think it is something that you should keep in mind. Overall, whether you are an inexperienced member of this health community, or if you want to finally get a juicer that delivers on all of its promises, this item from Bella is well worth a serious look. Make sure to follow all of the directions for use that are highlighted in the manual. You can also take advantage of the free juicer recipes that are included. There are some great suggestions to help you get started. Juice extractors offer a fantastic way to get the fruits and vegetables we need each day. With this juicer, you will be able to try just about any recipe you may come across. Perhaps more importantly, you will also be able to make those recipes in hardly any time at all, regardless of what you choose. This juicer takes up hardly any space in a kitchen, but it can easily become one of your favorite appliances. Process whole fruits and veggies with three inch feed. Super Quick Speeds! High Speed at 14,000 rpm and Low Speed at 12,000 rpm gives better juicer control. Stainless steel body makes this juicer a beautiful addition to any kitchen. 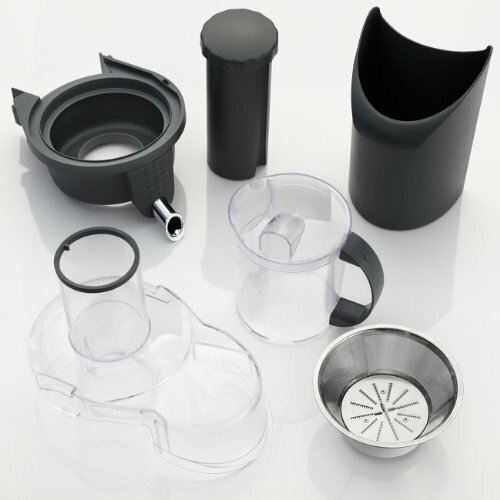 Includes a one liter juicer jar and a serving spout.